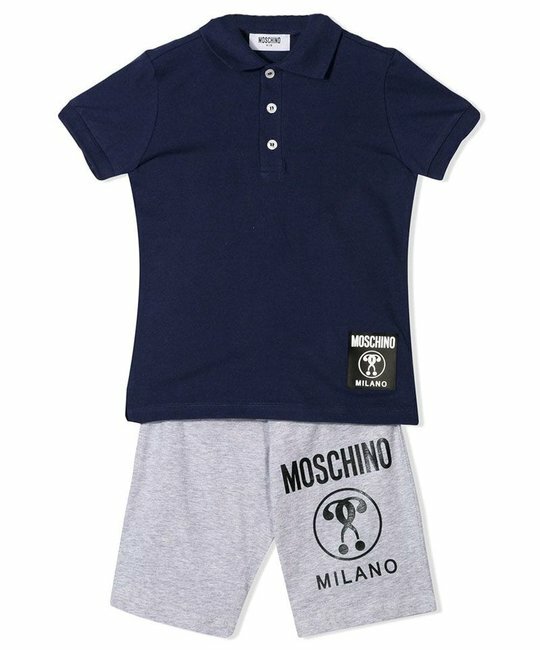 Moschino soft cotton navy polo shirt with grey branded jogging shorts. 95% Cotton, 5% Elastane. Made in Portugal.